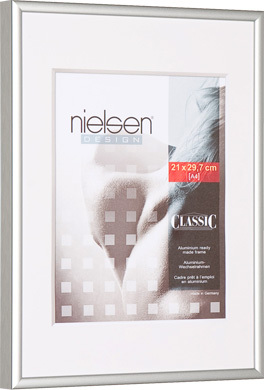 This frosted silver frame is supplied with fixings (10 metal/securing clips & 2 hangers) that give you the freedom to hang either horizontally or vertically. 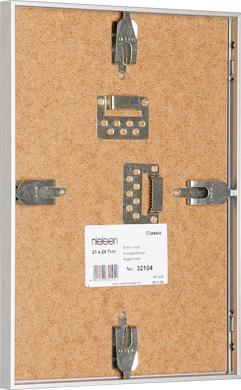 Just remove the mdf back and insert your picture. 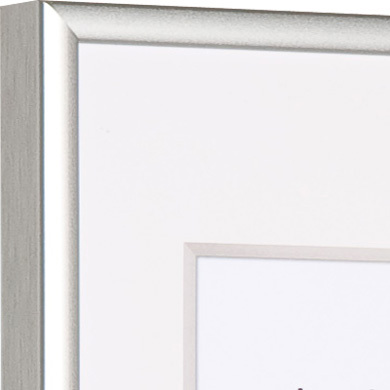 This silver frame has been designed to fit A1 (594x841mm) size pictures making it perfect for showcasing standard size artwork and photographs. 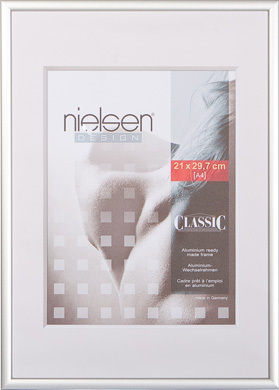 The stylish aluminium moulding has a 9mm face width and is 12mm deep.